Hi! I am an 18 year old French student, currently living in Paris but coming to study at Maastricht University in September 2019. I'll be doing a bachelor's in European Studies at UM's Faculty of Arts and Social Sciences. I am looking for a comfy place to live, preferably a (furnished? I can also buy the furniture from the person leaving the room) room in a house/flat with other students. 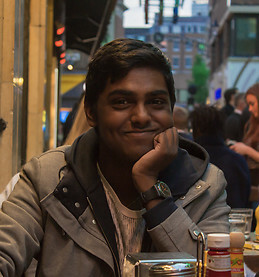 I would love to live with flatmates from different countries: I speak more or less five – French, Sinhalese (my mother tongue, my parents are Srilankan), English, German and Italian – and I am keen on learning more! Getting to know about different cultures in an international city like Maastricht would be a truly enrichring experience for me. I can be as serious as chill, depends on the situation, but most of the time I am quite easygoing. I am very extrovert, I smile a lot and I love to go out with friends, have a drink/pizza/whatever tastes good. So I hope to hear from you all very soon!